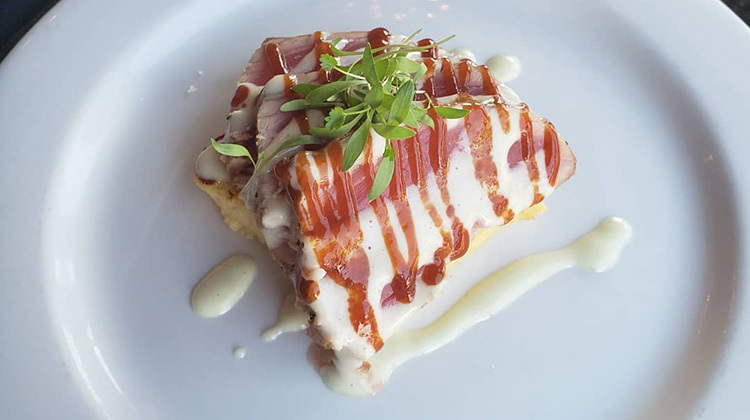 In terms of Utah’s contemporary dining scene, Meditrina was one of the first restaurants to offer tapas style dining in the state – THE perfect way to spend a lunch in our book; taste by taste, loitering for maybe just one more bite. Chef and owner Jen Gilroy’s restaurant blazed a trail that would soon be common place across the city and country. 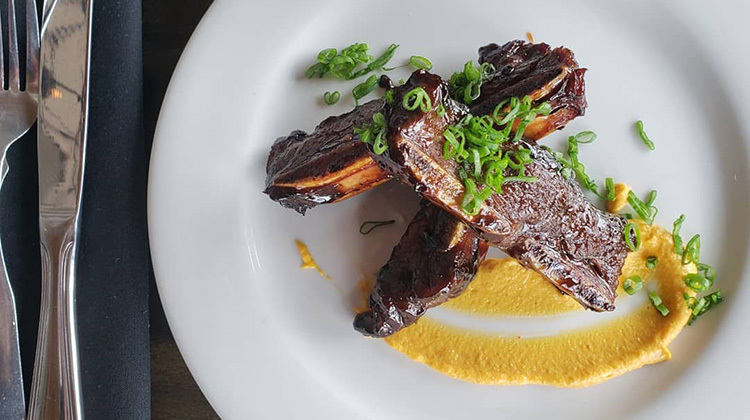 The restaurant moved to it’s new digs in the trendy Central 9th neighborhood in 2016, but still offers the same, flavor forward cuisine that put it on the map nearly a decade ago. The tapas menu remains at the heart of the new location and is better than ever; taking in the global inspiration it offers a wide array of dishes from harissa fried cauliflower through shrimp and grits and tempura fried frog legs – and it makes for a perfect lunch spot. Meditrina is opens for lunch Tuesday through Friday from 11.00 a.m. until 3.00 p.m. – and during these hours they also offer a special Lunch In & Out in 45 minutes deal too – if you’re in a rush. 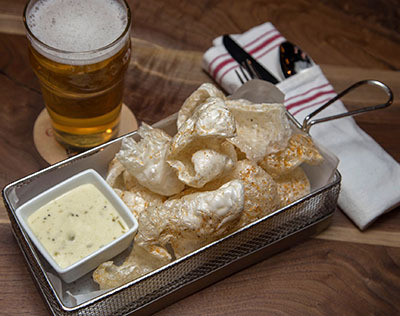 If you do find yourself lingering check out their happy hour snack deal too – 3 Snacks for $10, Tue-Sun, 5pm-6pm. It’s easy to stop by Meditrina for a light lunch and happily enjoy several hours with great food, conversation and wine. As you can see from the above, another important part of the Meditrina experience, is a robust liqour menu with a particular focus on wine. The restaurant regularly offers wine socials and wine pairing dinners, featuring many boutique wineries such as Bucklin and Ruth Lewandowski. Check out their great brunch on Sunday too! We’re proud to have Meditrina as the sponsor for this page. 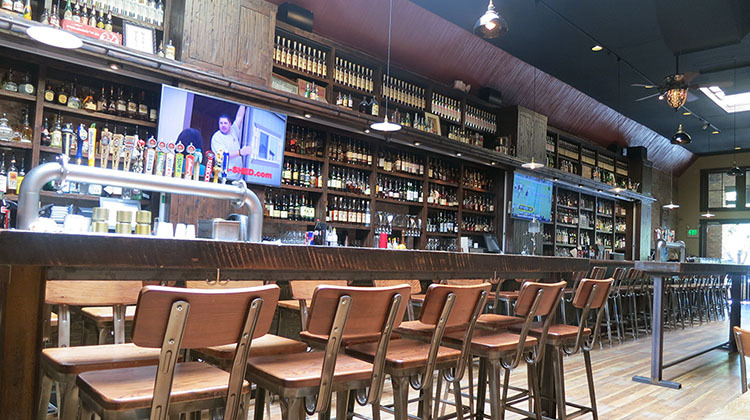 Tucked away inside the cool Trolley Square shopping mall is this fun brewpub that delivers on all fronts: great beer, great staff, great food. 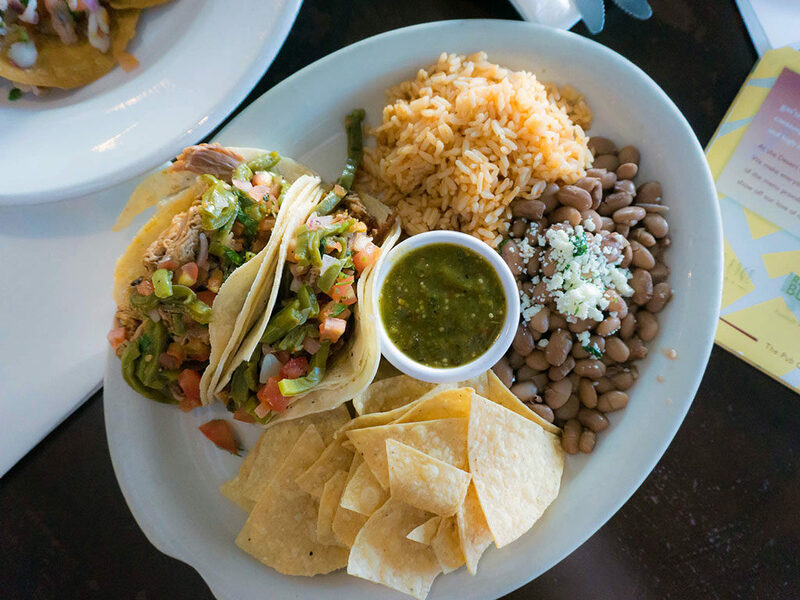 Stop by for lunch and can choose from a range of International flavors that skew toward Mexican and Italian in particular. If you don’t have time for a long lingering lunch, the crew will have you in and out in double quick time too. Located in downtown SLC is this seafood focused fine dining destination. When people ask where they can find the best seafood salad for lunch – we always send them to Current. 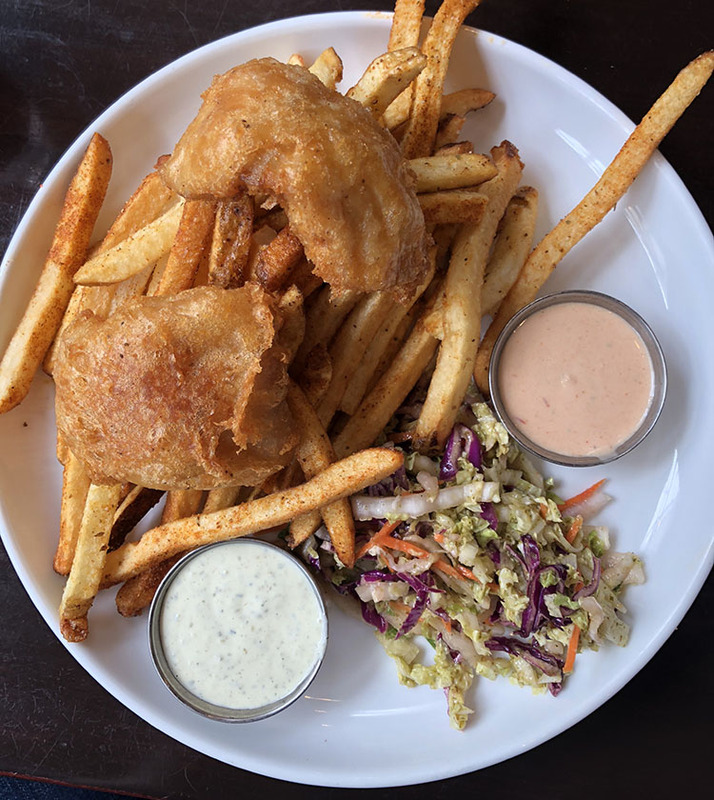 There’s a full bar, pretty patio and a lunch menu of lighter bites, salads and sandwiches. Or if you’re in the mood, go ahead and order a selection of fruit de mer – fresh oysters, mussels, clams, shrimp and more! Over on the East side of town you’ll find Feldman’s Deli – a slice of NYC and Jersey right here in SLC. 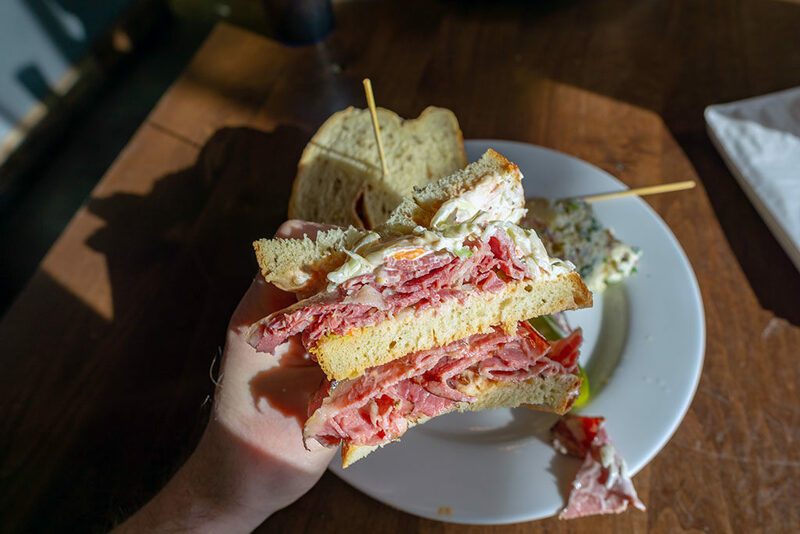 That’s because owner Michael Feldman hails from back East, and when moving to Utah, brought with him all his favorite lunch specials: over stuffed corned beef sandwiches, reuebens and yes, classic NYC cheese steak. Note: Feldman’s 1/2 sandwiches might just run you lunch and dinner all by themselves. 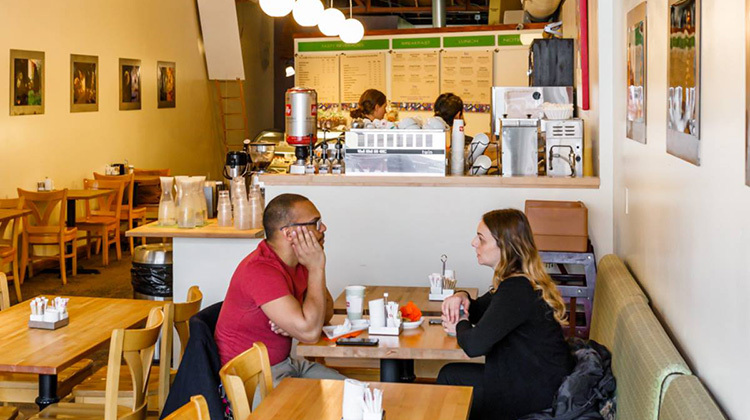 Another fun downtown lunch spot is this cute little cafe ran by chef and owner, Romina Rasmussen. Les Madeleines is Rasmessen’s odes to her globe trotting travels on a plate. From the boulangeries of Paris to the street food of Asia – every item on the eclectic lunch menu reflects her experiences. Les Mad’ as it’s affectionately known by locals its well know (even name checked by Oprah) for their Kouing Aman – buttery French pastries like no other – but in truth, everything here is made with care and prevision. If you’re craving vibrant flavors for lunch, come to Oh Mai. 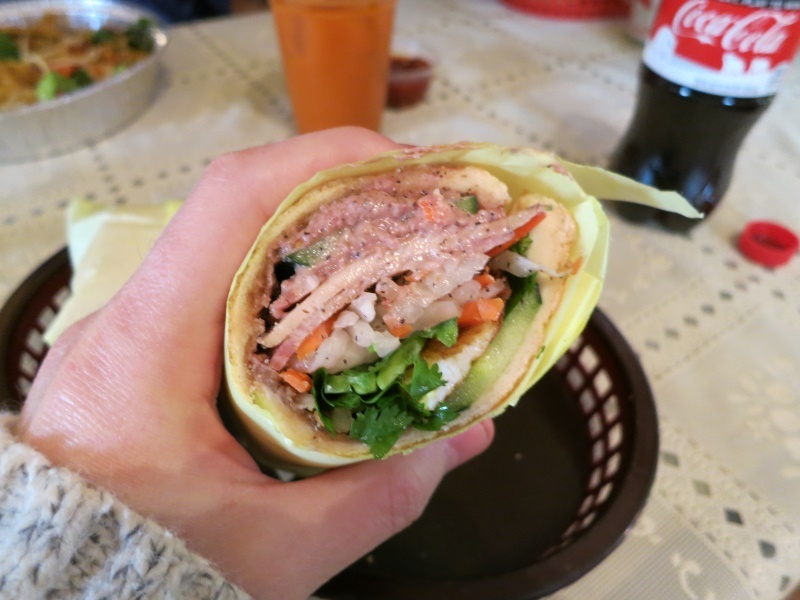 Specifically, Oh Mai is Utah’s goto destination for first rate banh mi sandwiches – a hybrid French/Vietenamese creation available in a number of formats. The restaurant offers a classic banh mi with pate and various meats through to more conptempory flavors like garlic butter rib eye and honey glazed pork. Bonus points: pretty much every sandwich is $4-$6 and ready in minutes. This downtown bar (21+ only) is a popular spot for evening drinks and dining – but stop by during the day and you skip the thronging crowds you’ll find at night. Open seven days a week for lunch, the vibe is much more calm and collected. 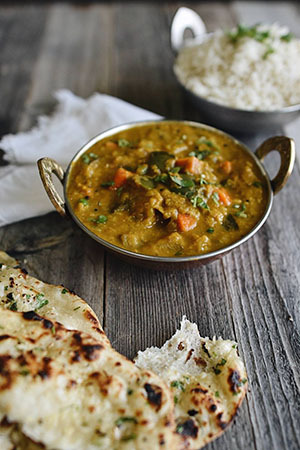 Looking for a fun lunch spot in the South or South West of the valley? Don’t look any further than this fun modern take on Korean flavors. 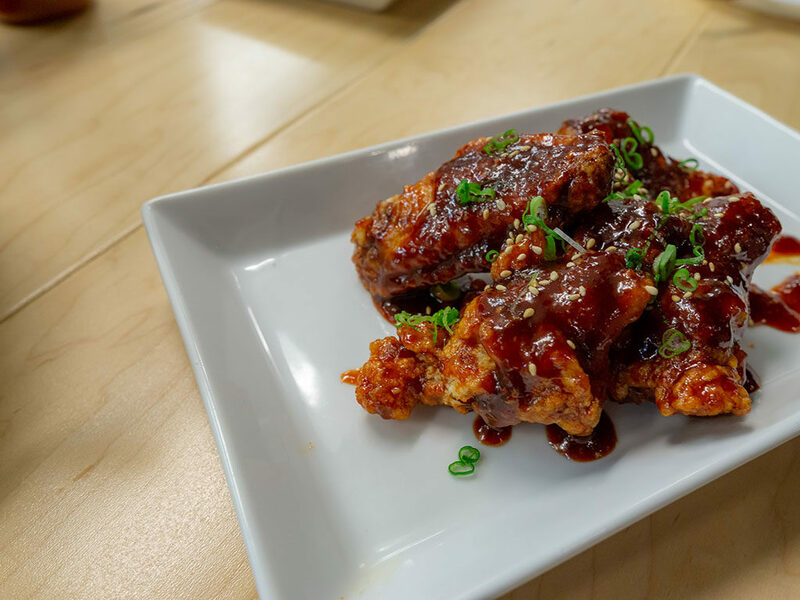 The guys at The Angry Korean take dishes like cheesesteaks and tacos and fuse them with Korean ingredients. There’s killer fried chicken, house made sauces and soy plus more authentic dishes like rice bowls with japchae and mandoo dumplings. With three locations spread along the I15 corridor in SLC, you’re never more than a few minutes from Moochie’s award winning subs. 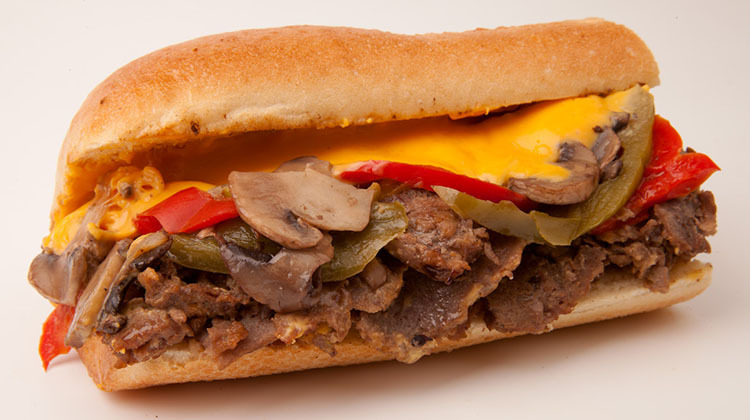 Famously appearing on the Food Network’s Diners, Drive-Ins and Dives – the restaurant is renowned for its meatball subs and Philly cheesesteaks offered in a variety of formats. Yes, even with whizz if that’s your thing. Also lesser known is that Moochie’s offers one of the very best reuben sandwiches in the state. Try it, you won’t regret it. Actually Moochie’s subs are huge so plan on a little nap too after lunch! 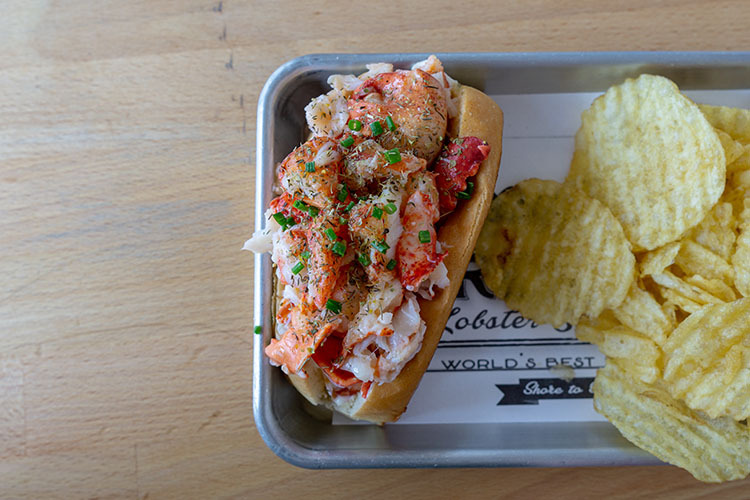 10 – Freshies Lobster Co.
East coast imported lobster, mayo, lashings of butter and a soft roll – life doesn’t get much better right? Enjoy all of these together on Freshie’s award winning lobster rolls for a perfectly decadent lunch.